Earn $0.62 in Rewards credit (62 points) What's This? 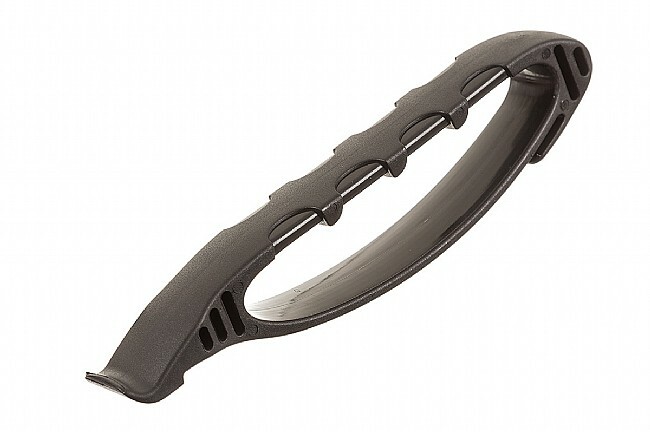 The Speedier Tire Lever from Crank Brothers features a protective shield that covers the top side of fingers to prevent bumps and abrasions as the lever is moved around the inside of the rim to unseat the tire. For installation, the hook end easily seats the tire inside the rim without pinching the tube. The Speedier Tire Lever is strong enough to remove tires with a wire bead but pliable enough to not damage the rim in the process. This tire lever really is the only tool that works for me on my tubeless ready rims that I'm still running with tubes. Tires that were previously nearly impossible to mount for me now find their place with the aid of this tool. Honestly, I had been stuck roadside for a good half-hour wrestling tires off and back onto my wheels before I got this lever (never had such difficulty before the tubeless ready wheels, seems to be something about the deep middle channel that makes a standard tube replacement difficult). The process was transformed from hellacious to possible thanks to this design. Highly recommended to anyone riding tubes on tubeless-ready rims. I am a big fan of Schwalbe Marathon plus tires but they are horrible to get on and off of my rims. (After reading reviews of other tires and rims it seems this is not a unique problem.) After breaking several plastic tire irons and leaving scars from a screwdriver. I decided to try crank brother's lever. I have been totally impressed, they make it so much faster and simpler, like any good tool they make the job seem easy. If you have tubeless rims, get this lever! The Crank Bros. Speedier Lever changed a 45 min. tire changing , torture session into a no sweat (literally) 5 minute tire change. Thank you Crank Bros. for saving my sanity! Then I decided to invest in some 26x1.125. There is no way I could of massage that size of tire. The Crank Bros Speedier Tire Lever made installation of these tires in less than 4mins. The device really makes the installationremoval process easy because you can grip it while pullingleveraging towards your body. 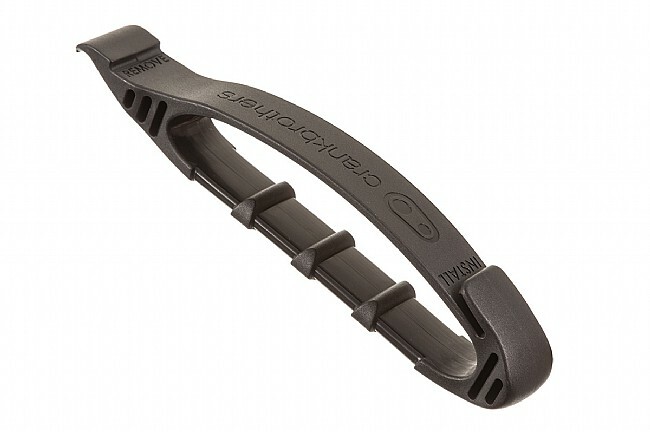 Great tool for those stubborn tight tires that would bend or break most standard levers. I have an old 27 bicycle and the newer 1 tires are a challenge to install and remove. Over the years I have broke or bent levers beyond useful. This is the answer if you would rather have the lever do all the work (instead of you). Save your hands and invest in one of these tools. These larger levers really allow you to lean into changing a flat. Less risk of finger damage as well. I found that with smaller levers, it was harder for me to really pull on the tire. Two of these levers are little bulkier to carry but well worth it in my opinion. I have used this lever at home when I am changing tires and works well at giving you a little more power at getting tight tires off the rim. It is too bulky to put in my bike bag on my bike,so I only use it at home.